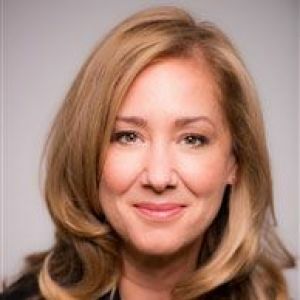 Anna Gecan recently joined Audible to lead the Original Content Strategy for Canada. Audible, which launched its dedicated Canadian offering at Audible.ca in 2017, is investing in original Canadian fiction, drama, comedy, documentaries and lifestyle content, written for the audio form. In her role, Anna is looking forward to working with writers, dramatists, producers and directors to build a slate of vibrant and distinctive Canadian audio content that entertains, educates and informs. Prior to joining Audible.ca, Anna Gecan was a content and brand consultant specializing in international programs and brands. She revamped Fine Living Italy in Milan, launched HGTV Asia and redefined the Food Network Asia brands while working in Singapore. She has also consulted on numerous UK and Canadian networks. Prior to starting her consultancy Ms. Gecan was VP of Original Programming for HGTV in New York where she developed, green-lit and managed the production of the hit series Selling New York, Selling LA, Property Virgins, Holmes Inspection and Income Property to name a few of her commissions. Prior to joining HGTV in New York she was VP of Content and Scheduling for HGTV Canada where she increased ratings by double digits annually. Additionally, she was VP of BBC Canada for a year. Ms. Gecan also headed development and production of original programming for Food Network Canada. Overall, she has developed, commissioned and executive-produced more than one hundred original series that are broadcast worldwide. Ms. Gecan started her career as a television producer/director for CBC News and Current Affairs.